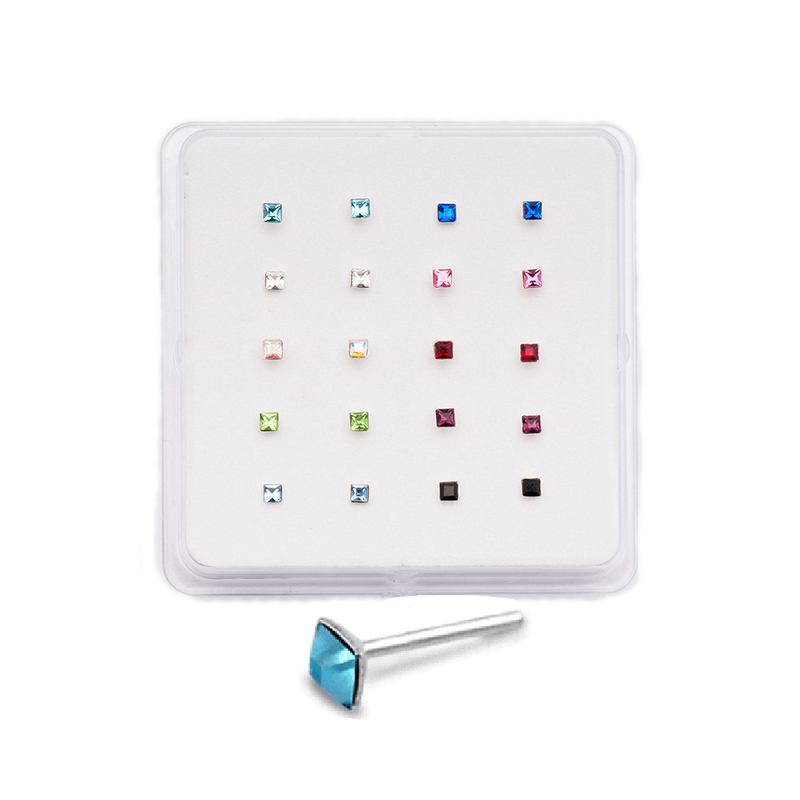 Lot of 20 925 Sterling Silver Nose Studs with 2mm High Quality Swarovski Gemstones that are glued into the setting. Pack has two of each color. Designed to lay flat on the nose.